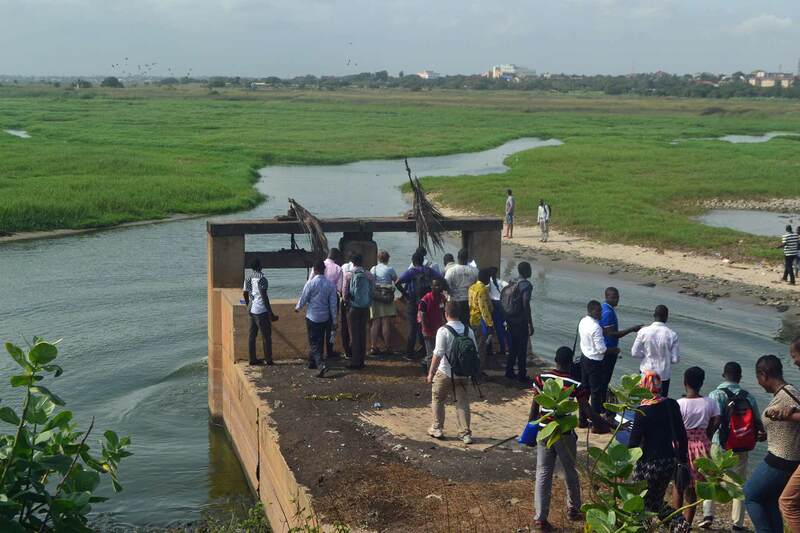 I have had a long association with Ghana, starting with my 1990-1992 Peace Corps Volunteer service in northern Ghana and continuing with my founding of the Coastal Ocean Environment Summer School in Ghana. 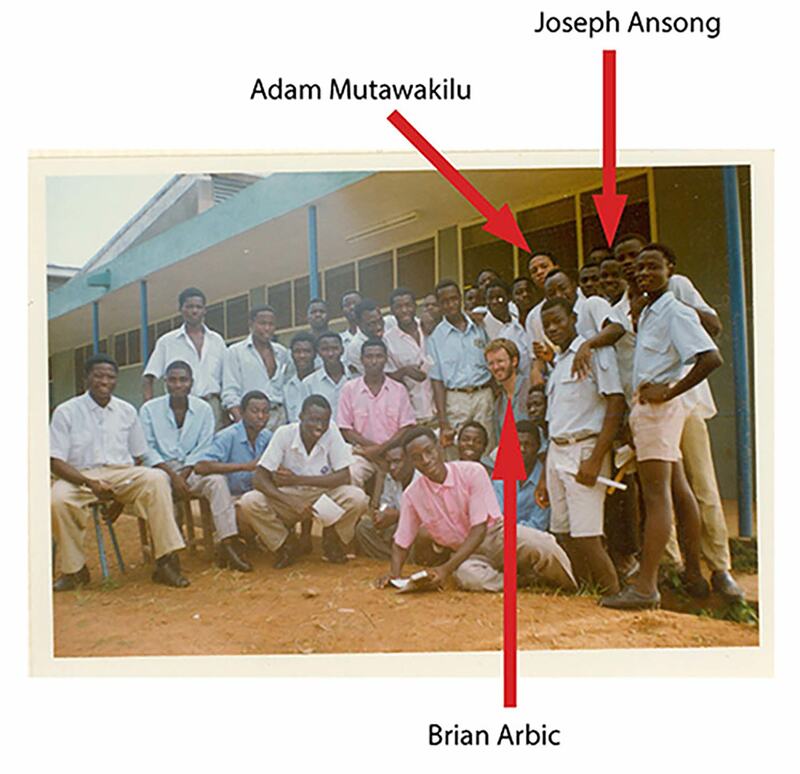 1992 Form 5 science class at Damongo Secondary School. From 1990-1992 I served in Ghana, West Africa as a US Peace Corps Volunteer. I taught O-Level Math and Physics in Damongo Secondary School, in Ghana’s Northern Region.Before serving in Ghana I had a brief stint as a Peace Corps Volunteer in Liberia, cut short due to the civil war that plagued Liberia and neighboring Sierra Leone throughout the 1990s. After the end of my official Peace Corps service in Ghana, I traveled in Southern Africa for 16 weeks, and then returned to Ghana for a few months before heading back to the US in January 1993. Since returning to the US, I have given many talks on my experiences in Peace Corps. For several years I gave talks at the University of Michigan in conjunction with Joseph Ansong, who was one of my secondary school students in Ghana and who worked in my lab as a postdoc and assistant research scientist from 2011-2017. 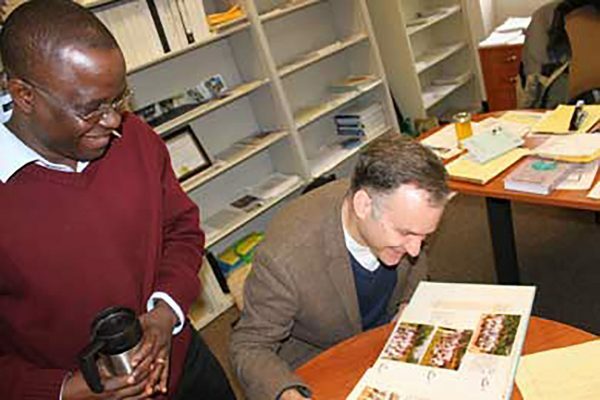 My “reunion” with Joseph, after years of little contact with my former Ghanaian students, has been written about in The University of Michigan Record Online and the University of Michigan alumni magazine Michigan Today. 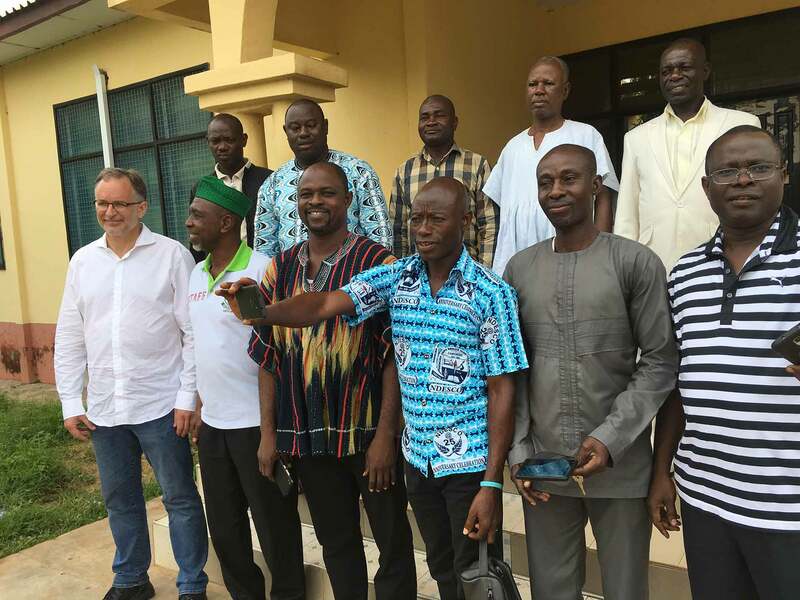 Supported by funding from US National Science Foundation grant OCE-1351837, various sources within the University of Michigan, various institutions in Ghana, and (in 2018) the International Centre for Theoretical Physics, I have established the Coastal Ocean Environment Summer School in Ghana in collaboration with colleagues from Ghana and the US. The summer schools have been held at Regional Maritime University (RMU) and University of Ghana (UG). The summer school website can be found here. 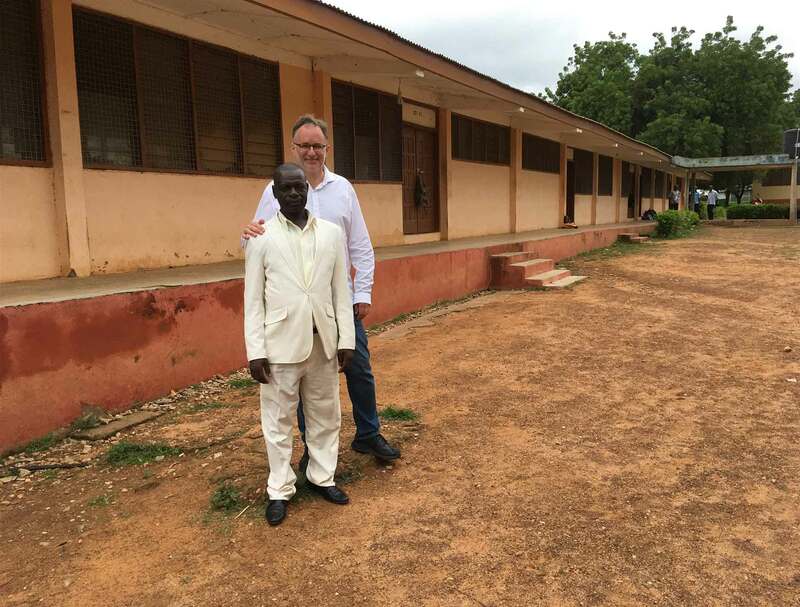 In August 2014, Joseph and I made a “scouting trip” to Ghana to visit the collaborating institutions. On the side, we talked with several of Joseph’s classmates and saw a few of them in person. 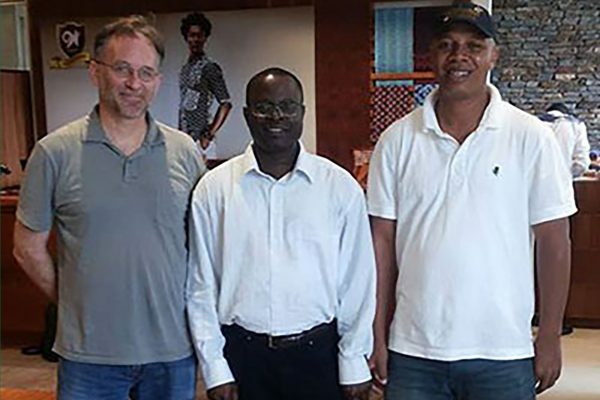 The picture to the right shows us with Adam Mutawakilu (“Galus”;right), who is now the Member of Parliament for the Damongo constituency. 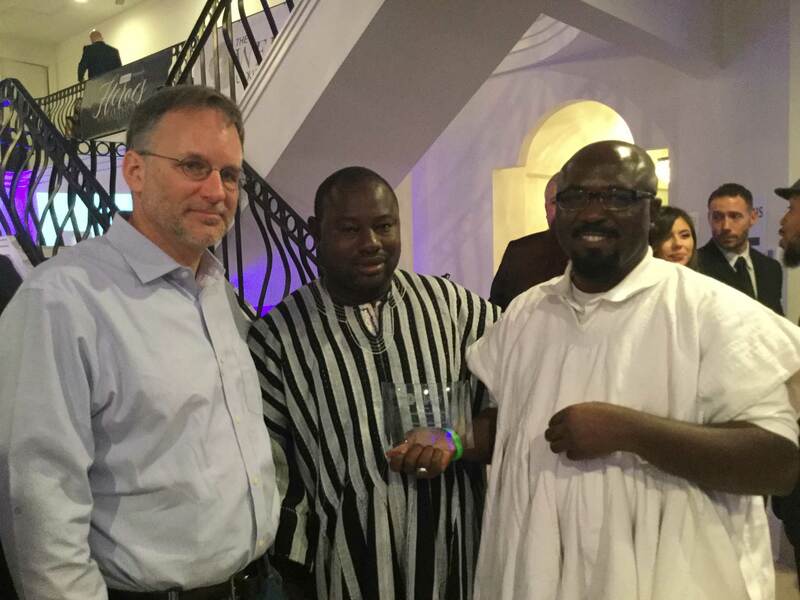 In January 2016, Seidu Jeremiah, another classmate of Joseph Ansong and Adam Mutawakilu, received a “Heroes in Health Care” Award in Atlanta for the work he does as leader of the Jaksally Youth Group in northern Ghana. The picture to the left shows me with Seidu (center) and Seidu’s friend Felix Onumah, at the Atlanta event. 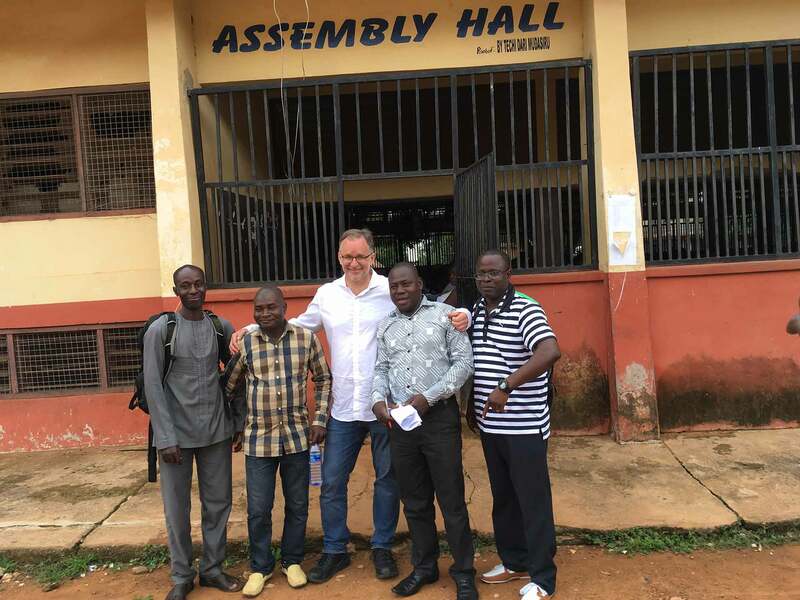 In August 2017, I traveled to northern Ghana for the first time since 1993, and saw many former students and colleagues. 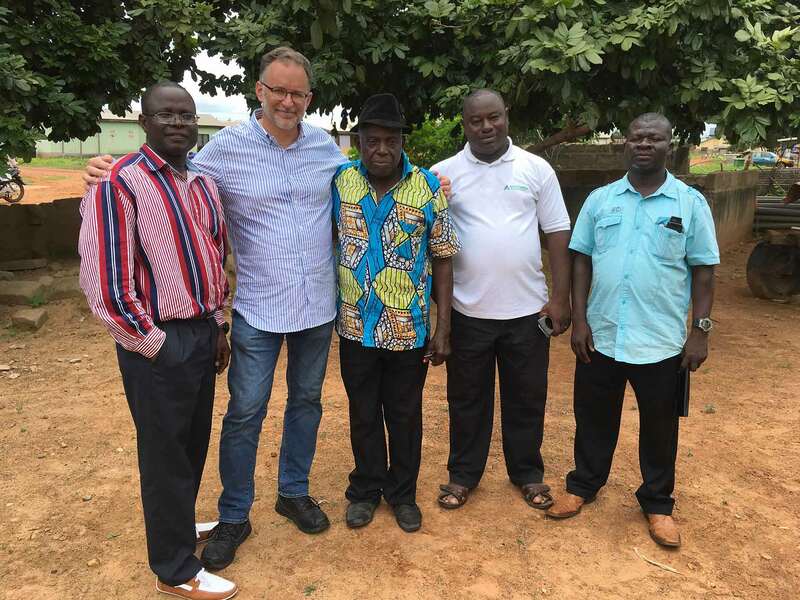 Brian Arbic with several others, including 6 of his former science students and the current headmaster of Damongo Secondary School, on 25 July 2017. Brian Arbic with 4 of his former science students in front of Assembly Hall, Damongo Secondary School, 25 July 2017. 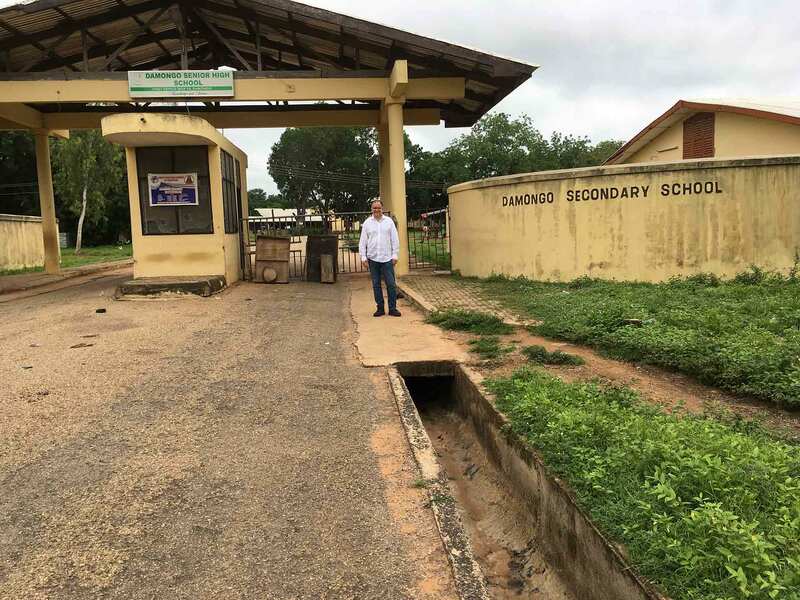 Brian Arbic in front of Damongo Secondary School, 25 July 2017.